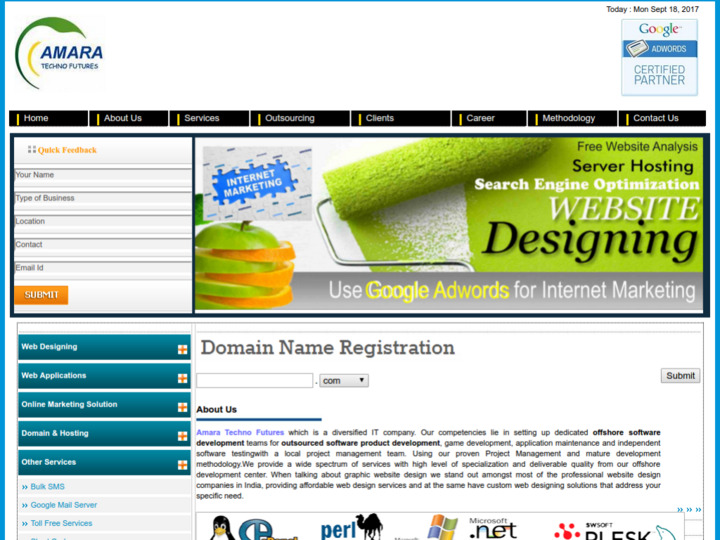 Amara Techno Futures which is a diversified IT company. Our competencies lie in setting up dedicated offshore software development teams for outsourced software product development, game development, application maintenance and independent software testingwith a local project management team. Using our proven Project Management and mature development methodology.We provide a wide spectrum of services with high level of specialization and deliverable quality from our offshore development center. When talking about graphic website design we stand out amongst most of the professional website design companies in India, providing affordable web design services and at the same have custom web designing solutions that address your specific need.